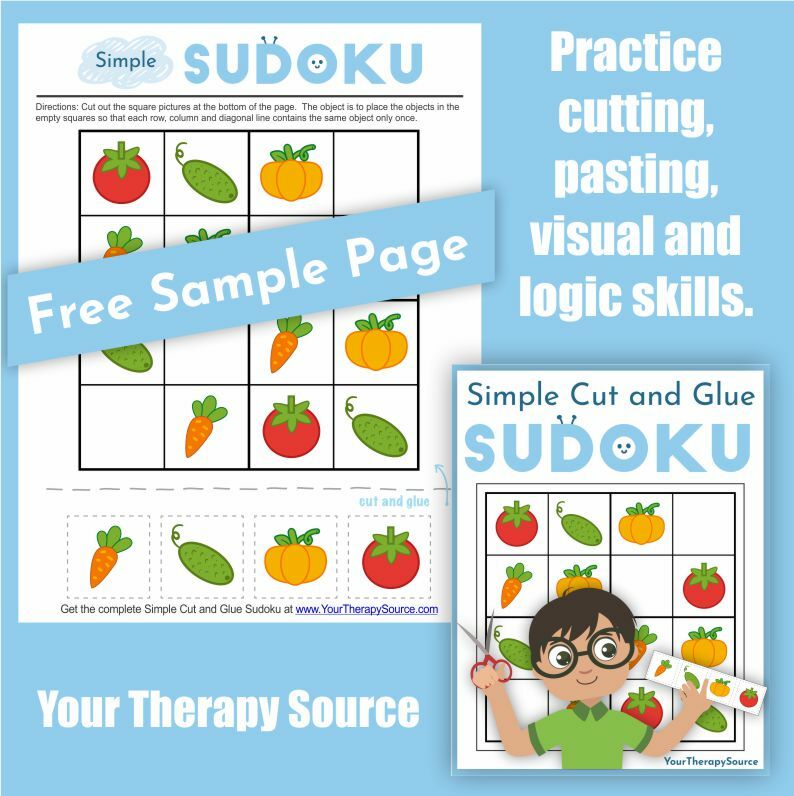 If you are looking for a one page printable to challenge fine motor and logic skills check out this freebie from the Simple Cut and Glue Sudoku download. You can download the freebie at the bottom of the post. Print out the fine motor and logic skills freebie in color or grayscale. The child can cut out the square pictures at the bottom of the page. The object is to place the objects in the empty squares so that each row, column and diagonal line contains the same object only once. Once the child has determined what object goes where, paste each square picture in the correct location. 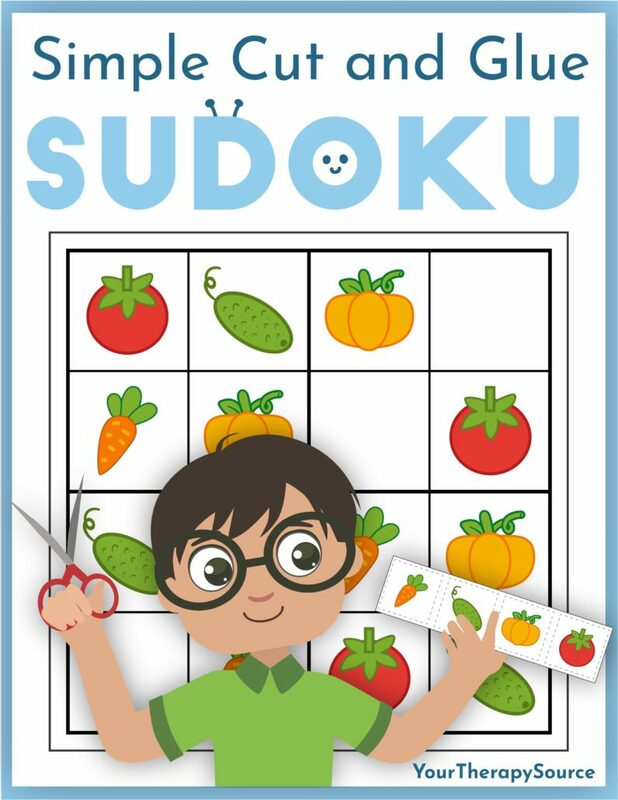 You can download the complete Simple Cut and Glue Sudoku for Children here. It includes 40 full-color puzzles to practice fine motor and visual perceptual activities. This digital download encourages children to have fun while they build key developmental skills. The puzzles advance in difficulty from easy (4 by 4 boxes) to hard (6 by 6 boxes). Download your FREE Fine Motor and Logic Skills activity here.